Land expropriation produces misery wherever it is tried. No country ever became rich through its government’s seizure of private property (exhibit A: the Soviet Union), but politicians in South Africa want to give it another go. That’s the disheartening news from Cape Town this week, where the National Assembly voted 241-83 on Tuesday to start a process to amend the constitution and allow land expropriation without compensation. A parliamentary committee will review the motion and report by Aug. 30. Land long has been a fraught issue in South Africa, where during the apartheid era blacks were barred from buying property in white areas. Post-apartheid, the government bought land and offered compensation to South Africans whose property had been forcibly seized after 1913. Many of those claims are now settled, and more than 90% of claimants chose to receive cash instead of land titles, a reflection of the country’s rapid urbanization. According to a 2016 Institute of Race Relations survey, less than 1% of South Africans think land is one of the country’s “serious unresolved problems.” Unemployment, public services, housing and crime rank far higher. 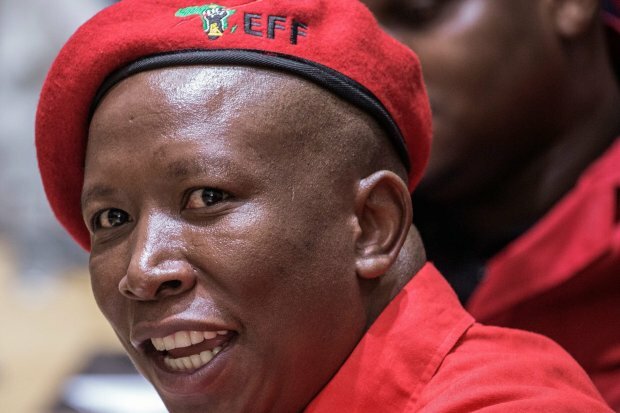 You’d never know these facts from the rhetoric offered by the motion’s sponsor, Julius Malema of the far-left Economic Freedom Fighters party. The idea is likely to duplicate the awful experience of Zimbabwe during the Robert Mugabe era, a case study in the reality that bureaucrats can’t distribute resources more efficiently or productively than private markets. Mugabe’s confiscations spooked investors, the agricultural industry collapsed, and a once prosperous country became known for hyperinflation and poverty. But the ruling African National Congress is supporting the measure to distract attention from its own failed statist economic policies, which have produced subpar growth and denied opportunity to poor South Africans. The first budget of new President Cyril Ramaphosa suggests these policies will continue. South Africa needs more capital, more investment and a favorable business environment. Seizing private property has produced misery everywhere it has been tried. South Africans don’t need more of that.